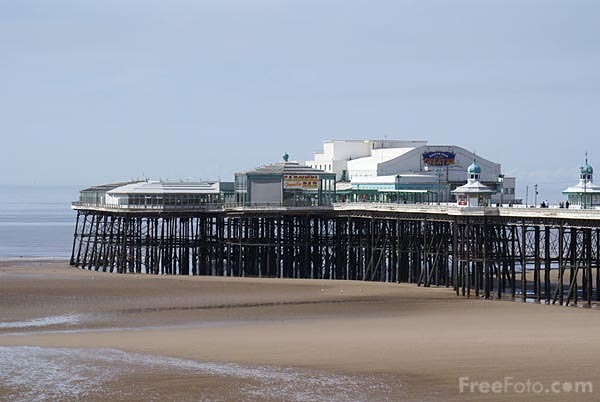 Blackpool is one of England's premier sea-side resorts. With its 1867 built tower and 1885 tram system, the world's first electric street tramway, Blackpool is a popular holiday destination. Another popular feature is the Blackpool Illuminations. The Illuminations cost approximately £1.8 million to stage, and attract more than 8 million visitors. The dazzling display stretches almost six miles from Starr Gate to Bispham and uses more than 500,000 lamps. The electricity bill comes in at a staggering £60,000.